This is a big win for Shindig as Gartner is a world-renowned tech research firm, respected for their thought leadership and technology insights, and receiving this award further reinforces our transformational vision: to improve how people virtually collaborate, communicate, and connect. Gartner uses an assessment framework they coined ACME to evaluate collaboration effectiveness of a technology. More specifically, this framework measures the Activity, Content, Motivation and Enabling technology to evaluate how context and motivation are addressed in the user’s experience of a platform. As result, Shindig is identified as “creating a cohesive user experience for people to participate in large-scale video events” and increasing “people’s comfort level to participate and contribute”. We tend to agree! Interested in increasing your organization’s collaboration effectiveness? Reach out to us, we can help! 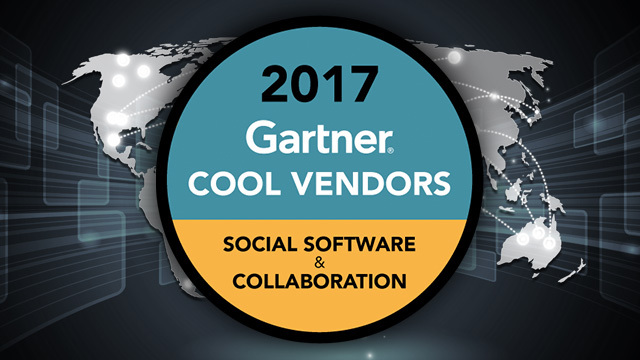 Click here to purchase the 2017 Gartner Cool Vendors in Social Software and Collaboration full report.